AMAZING! 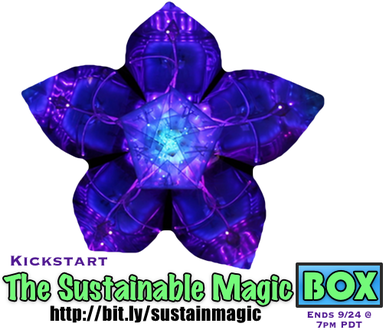 We reached our basic funding level and three stretch goals! Thank you so much for your interest in and support of our Kickstarter! We want to change the world by sharing the magic of tech-creation with thousands of people, and by enabling existing creators - including ourselves - to do more creating, faster! We are experienced educators and creators. We have found that sharing our art has made people curious and inspired to create. 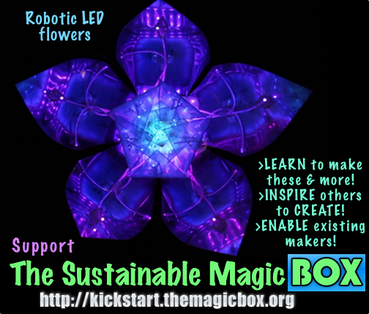 This is an experiment in guerrilla education and sustainable creating - We plan to try offering a series of free/pay-as-you-can rapid creation workshops (e.g., 10-minute laser cutting wearables, backlight LED crafting) in public places. In addition, we'll offer more involved workshops and share our tools with experienced makers (to use for creating or holding workshops). 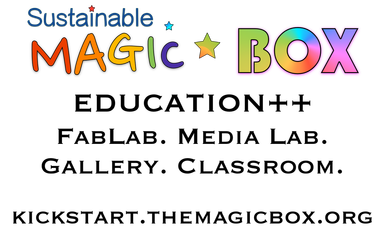 A few clicks help us inspire and educate people with the magic of creating. 1. Share the Sustainable Magic Box project URL with your friends. 2. 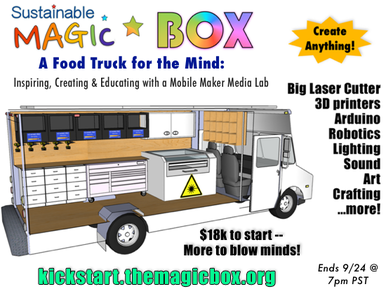 Blog post: "The Magic Box Kickstarter: Spreading Maker Education & Enabling Creativity"
1. Share our recent project update with an endorsement of our project by famous hacker/engineer Andrew "bunnie" Huang. Share these images with your social network. Don't forget to follow us online: we'll continue to post frequent updates. But I want to help more! What can I do? Copy this into your email signature -- passive messaging works really well... and it's super low effort! Write a blog post about us and share the link with us. Here are some potentially handy images from our Kickstarter that you can use, and here are some pictures of our art. Let us know you want to help! We need as much help as we can get spreading the word, getting press coverage, going to in person events, etc. We can talk with you in more detail.